Kinzer’s most recent book is A Thousand Hills: Rwanda’s Rebirth and the Man Who Dreamed It. Archbishop Desmond Tutu of South Africa called it “a fascinating account of a near-miracle unfolding before our very eyes”. 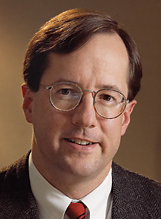 From 1983 to 1989, Kinzer was the Times bureau chief in Nicaragua. In that post he covered war and upheaval in Central America. He also wrote two books about the region. One of them, co-authored with Stephen Schlesinger, is Bitter Fruit: The Untold Story of the American Coup in Guatemala. The other one, Blood of Brothers: Life and War in Nicaragua, is a social and political portrait that The New Yorker called “impressive for the refinement of its writing and also the breadth of its subject matter.” Columbia University awarded Kinzer its Maria Moors Cabot prize for outstanding coverage of Latin America. Before joining the New York Times, Kinzer was a Latin America correspondent for the Boston Globe. He was also a newspaper columnist and a state government official in Massachusetts. Kinzer studied history at Boston University and graduated with high honors. He now teaches journalism and political science at Northwestern University, contributes articles to the New York Review of Books and other periodicals, and writes a world affairs column for The Guardian. Reza Jalali, is a Kurd from Iran, a human rights and refugee activist who has lived in Maine since 1985. He was prominently recognized in Making it in America: a sourcebook on eminent ethnic Americans (©2001by Elliott Robert Barkan). His essays, short stories, and commentaries have appeared in the local and international newspapers. As a member of Amnesty International USA Board of Directors, Jalali led delegations to different refugee camps in Turkey and Bosnia. He has participated in numerous United Nations-sponsored international conferences in Korea, Japan and Austria. In 1992, he visited the White House as part of a national delegation to discuss the plight of Kurdish refugees fleeing Iraq. Jalali is one of the contributing writers to Child Labor: A Global View (©2004, Greenwood Press), the multimedia production Middle East Suitcase Project (©2005, Center for Cultural Exchange), and The World of Child Labor: An Historical and Regional Survey (©2009, M.E. Sharpe Inc.) Jalali wrote the Foreword to New Mainers (©2009, Tilbury House, Publishers) a book on immigrant’s experiences in Maine. His first children book, Moon Watchers, was published by Tilbury House, Publishers in June 2010. Jalali’s forthcoming book, God Speaks in Many Accents, is about the religions that Maine’s immigrants have brought with them to their new home in the U.S. Jalali has been included in “50 In 52 Journey”, a national project to name “Americans who are problem-solvers, idea-generators in their communities, in their cities, and in their States and are moving America forward. Reza teaches Islam at the Bangor Theological Seminary and is the Muslim Chaplain at Bates College. Reza is employed at the University of Southern Maine in Portland, Maine. Graham E. Fuller is currently Adjunct Professor of History at Simon Fraser University in Vancouver, BC. He has a BA and MA from Harvard in Russian and Middle East studies. He worked 20 years as a CIA operations officer, seventeen of them overseas in Turkey, Lebanon, Saudi Arabia, Yemen, Afghanistan and China. He later became Vice-Chair of the National Intelligence Council at CIA, with overall responsibility for national level strategic forecasting. After leaving government service Mr. Fuller was a Senior Political Scientist at the RAND Corporation for 12 years where, among many publications, he wrote on political Islam in various countries, and on the geopolitics of the Muslim world. He speaks several Middle Eastern languages as well as Russian and Chinese. 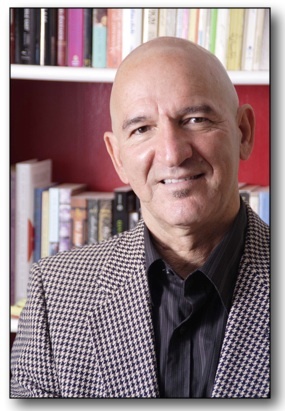 He has written many books and articles on Middle Eastern and South Asian geopolitics, including The Center of the Universe: the Geopolitics of Iran; The Geopolitics of Islam and the West; Turkey Faces East: Turkey’s New Geopolitics from the Balkans to Central Asia; The Arab Shi’a; and The Future of Political Islam, 2003. His 2008 book is The New Turkish Republic: Turkey’s Pivotal Role in the Middle East. His newest work, A World Without Islam, was published by Little Brown in August 2010. Ira Glasser was for much of his adult life the Executive Director of the ACLU and in this capacity became a spokesman for civil rights in general and a thorn in the side of most of the last eight administrations. Since his retirement from the ACLU in 2001, he has served as Board President of the Drug Policy Alliance, an organization dedicated to reversing this nation’s long-standing and ill-considered War on Drugs. Prior to his affiliation with the ACLU, Mr. Glasser was a mathematician and a member of the science and mathematics faculties of Queens college and Sarah Lawrence College. He was also editor of Current magazine. Mr. Glasser’s book, Visions of Liberty: The Bill of Rights for All Americans, was published in November 1991 by Arcade Publishing, Inc. in New York City. An insightful analysis of how our rights developed, Visions was written to commemorate the 200th anniversary of the Bill of Rights. Mr. Glasser is a widely published essayist on civil liberties principles and issues whose writings have appeared in The New York Times, The Washington Post, The Village Voice, Harper’s, The New Republic, The Nation, and Christianity and Crisis, among other publications. 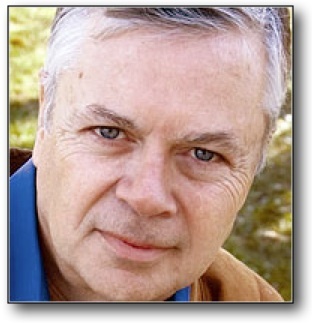 He is also the co-author of Doing Good: The Limits of Benevolence, published by Pantheon in 1978. Mr. Glasser received a B.S. degree in mathematics and graduated with honors in literature and the arts from Queens College in 1959. He has a master’s degree in mathematics from Ohio State University and also studied sociology and philosophy on the graduate level at the New School for Social Research. Born and raised in New York, Mr. Glasser is married and the father of four children. Ambassador Goodwin Cooke earned his Bachelor’s degree in 1953 from Harvard College and was commissioned as a second lieutenant in the US Marine Corps that same year. He served as an engineering officer and battalion adjutant from 1953-1955, with an overseas posting to Okinawa, Japan. He began his career with the US State Department in 1956, serving as a foreign service officer until 1981, with postings to Pakistan, Yugoslavia, Italy, Belgium, Canada, and the Ivory Coast/Cote d’ Ivoire. In his final posting, he served as US Ambassador to the Central African Empire/Republic. Since leaving the foreign service, Ambassador Cooke has been a professor at The Maxwell School of Syracuse University. He is now Professor of Practice Emeritus, International Relations. In this capacity, he has developed a course on Nations and Nationalism which addresses some of the issues and dilemmas which lie behind the world’s bloodiest conflicts. 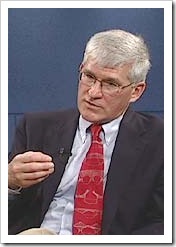 Andrew J. Bacevich is professor of history and international relations at Boston University. A graduate of the U. S. Military Academy, he received his Ph. D. in American diplomatic history from Princeton. In 2004, Bacevich was a Berlin Prize Fellow at the American Academy in Berlin. He has also been a fellow of the Paul H. Nitze School of Advanced International Studies at Johns Hopkins University, the John F. Kennedy School of Government at Harvard University, and the Council on Foreign Relations in New York. Bacevich is the author of The New American Militarism: How Americans Are Seduced by War (2005) and The Limits of Power: The End of American Exceptionalism (2008), among other books, and his op-eds have appeared in the New York Times, Washington Post, Wall Street Journal, Financial Times, Boston Globe, Los Angeles Times, and USA Today. “The bedrock assumption to which all of official Washington adheres, liberal Democrats no less than conservative Republicans, is that the United States itself constitutes the axis around which history turns. We define the future. Our actions determine its course. The world needs, expects, and yearns for America to lead, thereby ensuring the ultimate triumph of liberty. For the United States to shrink from its responsibility to lead is, at the very least, to put at risk the precarious stability to which humanity clings and in all likelihood would open the door to unspeakable catastrophe. Alternatives to American leadership simply do not exist. 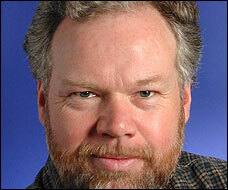 Tom Ricks is a Pulitzer Prize winning former reporter for the Wall Street Journal and Washington Post. He writes a blog at ForeignPolicy.com, and is a member of a defense policy think tank. He lectures widely to the military and is a member of Harvard University’s Senior Advisory Council on the Project on U.S. Civil-Military Relations. He has reported on military activities in Somalia, Haiti, Korea, Bosnia, Kosovo, Macedonia, Kuwait, Turkey, Afghanistan, and Iraq. Ricks is author of the bestselling Fiasco: The American Military Adventure In Iraq, its sequelThe Gamble: General David Petraeus and the American Military Adventure in Iraq, 2006-2008, Making the Corps, and the novel A Soldier’s Duty. Mark W. Frazier is the ConocoPhillips Professor of Chinese Politics and Associate Professor of International and Area Studies at the University of Oklahoma. He also serves as the Associate Director of the Institute for US-China Issues at the University of Oklahoma. His research examines the politics of labor and social policies in China. He has authored several articles on pension politics and welfare issues, including articles in Studies in Comparative International Development (Summer 2004) and the The China Journal (January 2004). He is also the author of The Making of the Chinese Industrial Workplace: State, Revolution, and Labor Management (Cambridge University Press, 2002), which explores labor practices in state-owned enterprises before and after the 1949 revolution. Prior to assuming his current position, he was the Luce Assistant Professor of East Asian Political Economy (2001-2005) and Associate Professor of Government (2006-2007) at Lawrence University, a liberal arts college in Wisconsin. He was awarded a Fulbright Research Fellowship in 2004-05 to conduct research in China. Frazier received a Ph.D. in political science in 1997 from the University of California, Berkeley, an MA in Chinese Studies from the University of Washington, and a BA in history from Princeton University. NB: This and subsequent meetings will be held at Marcel’s Restaurant at the Samoset Resort in Rockport. Julia E. Sweig is an American author and scholar of Latin American studies. The Nelson and David Rockefeller Senior Fellow for Latin America Studies and Director for Latin America Studies at the Council on Foreign Relations, she specializes in Latin America and U.S. Latin America foreign policy. NOTE: This presentation will be at the Samoset, but in the Baypoint Ballroom instead of Marcels. 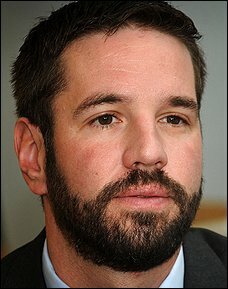 Matthew Hoh is a former State Department official who resigned in protest from his post in Afghanistan over U.S. strategic policy and goals in Afghanistan in September 2009. Prior to his assignment in Afghanistan Matthew served in Iraq; first in 2004-5 in Salah-ed-Din province with a State Department reconstruction and governance team and then in 2006-7 in Anbar Province as a Marine Corps company commander. When not deployed, Matthew worked on Afghanistan and Iraq policy and operations issues at the Pentagon and State Department from 2002-8. Matthew’s writings have appeared in The Wall Street Journal and Washington Post and his resignation letter has been cited as an Essential Document by the Council on Foreign Relations. Matthew was recently named Ridenhour Prize Recipient for Truth Telling. 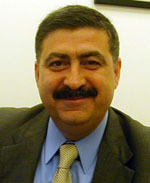 Murhaf Jouejati is a Syrian-born specialist on Middle East affairs, particularly Syrian politics and the Levant. He is currently a Professor of Middle East Studies at the National Defense University’s Near East South Asia Center for Strategic Studies. Dr. Jouejati is also a Professorial Lecturer in Political Science and International Affairs at the George Washington University, as well as an adjunct scholar at the Middle East Institute in Washington, DC. Dr. Jouejati has over two decades of experience researching and working on the political, social and economic aspects of the Middle East. In 2004-2006, he served as the Director of the Middle East Studies Program and Visiting Professor at the George Washington University’s Elliott School for International Affairs. Dr. Jouejati was a resident scholar at the Middle East Institute and has taught at the George Washington University and American University. Peter Maass, a contributing writer at the New York Times Magazine, is the author of “Crude World: The Violent twilight of Oil” which was published in September by Alfred Knopf, Inc. “Crude World” is based on research in every major oil-producing country; Maass interviewed Saudi sheiks, Russian billionaires, Nigerian warlords, Venezuelan politicians, Texas wildcatters and many others. While investigating oil corruption in Equatorial Guinea, he was accused of being a spy and expelled. USA Today described Maass’ book as “in a class by itself, as he constructs his relentless indictment on a foundation of first-rate reporting and superb writing”. According to the Financial Times, “Maass…succeeds in portraying an energy crisis mostly ignored or misunderstood in the developed world.” Maass is also the author of “Love thy Neighbor: A Story of War,” a memoir of the Bosnian conflict that was published by Knopf in 1996 and won book prizes from The Overseas Press Club and the Los Angeles Times. In recent years, Maass has written lengthy stories for the NYT Magazine from Iraq, Saudi Arabia, Pakistan and Afghanistan. Avis Bohlen is an adjunct Professor at Georgetown University. She served for 25 years as a career foreign service officer with the US State Department and 30 years with the US government, retiring from the U.S. State Department in May 2002. She has also served as Assistant Secretary for Arms Control (1999-2002), Ambassador to Bulgaria (1996-1999), and Deputy Chief of Mission at the US Embassy in Paris (1991-1995). Prior to that, Ms. Bohlen worked on numerous assignments in the State Department’s Bureau of European Affairs. She was Deputy Assistant Secretary for Europe in charge of security issues and served on the Secretary’s Policy Planning Staff. Over the years, she has been involved in policy on a wide range of issues relating to U.S.-European relations, U.S. relations with France, European security issues, arms control, and Soviet affairs. Before joining the Foreign Service in 1979, Ms. Bohlen worked for the Arms Control and Disarmament Agency. She earned her MA from Columbia University (1965) and BA from Radcliffe College (1961). From September 2002 to May 2003, she was a public policy scholar at the Woodrow Wilson International Center for Scholars in Washington, DC. She was published in the September 2003 issue of Survival for her article, “Rise and Fall of Arms Control.” Ms. Bohlen is a member of the International Commission on the Balkans, the Defense Advisory Committee at the Center for Naval Analysis, and currently serves as Chairman of the Board of IREX (International Research and Exchanges). She is also on the Boards of the Atlantic Council of the United States, the American Academy of Diplomacy, the American College of Sofia, and the Arms Control Association. Saad Eddin Ibrahim is founder and chairman of the Ibn Khaldun Center for Development Studies. He also serves as secretary general of the Egyptian Independent Commission for Electoral Review, Member of the Club of Rome, trustee of the Arab Thought Forum, and president of the Egyptian Sociologists Association. An internationally renowned political activist and scholar, Mr. Ibrahim has been one of the Arab world’s most prominent spokesmen on behalf of democracy and human rights. His 2000 arrest and subsequent seven-year sentence for accepting foreign funds without permission and “tarnishing” Egypt’s image sparked a loud outcry from the international community. many local and international human rights organizations, including Amnesty International, Human Rights Watch, Human Rights First, and the International Federation of Human Rights, as well as Western governments called for his release. In 2003 Egypt’s highest appeal court, the Court of Cessation, declared his trials improper and cleared him of all charges.Born in 1938 in Mansura, Egypt, Ibrahim studied at Cairo University, where he received a bachelor’s degree with honors, and the University of Washington, where he earned a Ph.D. in sociology. In 1988, he founded the Ibn Khaldun Center for Development Studies, one of the first independent research centers in the Middle East, which remains one of Egypt’s preeminent research and advocacy institutions.Ibrahim is the author, coauthor, or editor of more than thirty-five books in Arabic and English, including Egypt, Islam, and Democracy: Critical Essays (2002). He has written more than 100 scholarly articles, some of which have been translated into as many as thirteen languages. He has also been the recipient of numerous awards, including the Jordanian Order of Independence, the Kuwait Award in Social and Economic Sciences, the Middle East Studies Association Award for Academic Freedom, the Freedom House Award for Defending Democracy and Human Rights, and the American Sociological Association Award for Lifetime Contribution to the Social Sciences and Freedom. His work and activism also led to him being selected as a finalist for the 2002 Nobel Peace Prize. Ibrahim also has taught courses at a variety of American universities including Harvard University, Columbia University, NYU, University of Chicago, University of Indiana, UCLA, and the University of Washington. He also founded and served as the secretary-general of the Arab Organization for Human Rights and the Arab Council of Childhood and Development. He is currently serving as a Wallerstein Visiting Scholar at Drew University in New Jersey.